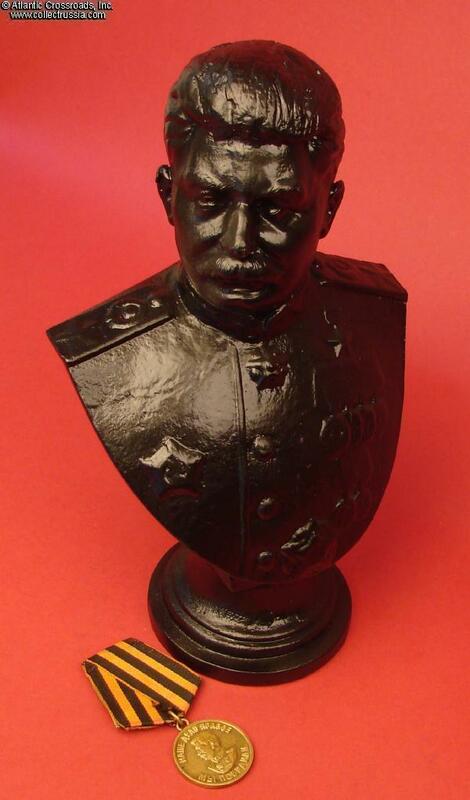 Stalin, bust in cast iron, dated 1946. 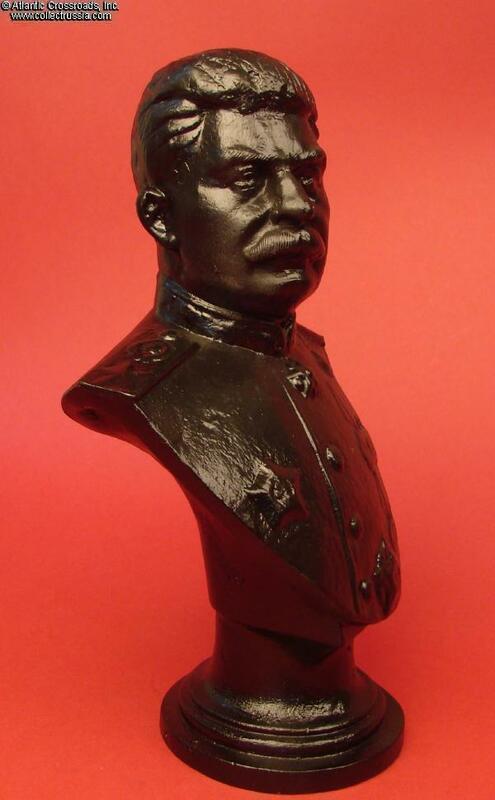 This very impressive image is harking back to traditional portrayals of the heroes of antiquity or more recently, the well-known series of busts of Russian Emperors (even though the sculptor would categorically deny any of that). 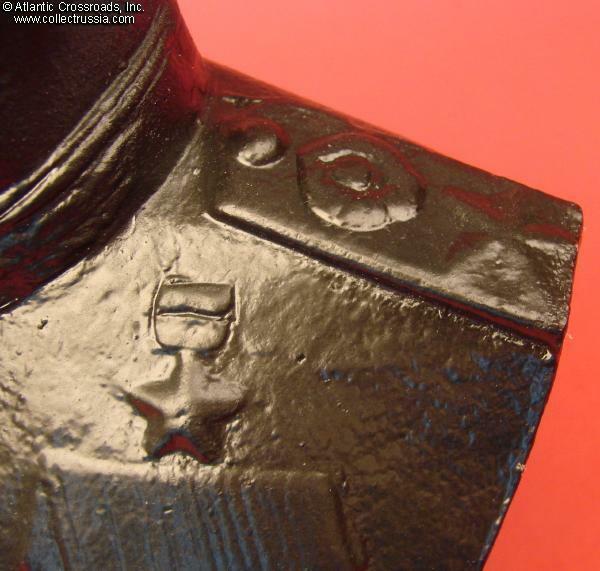 The Soviet leader is in dress uniform of Generalissimo with full chest of decorations. Note however that unlike the later portraits, he is wearing only one Order of Victory and a single Hero Star. 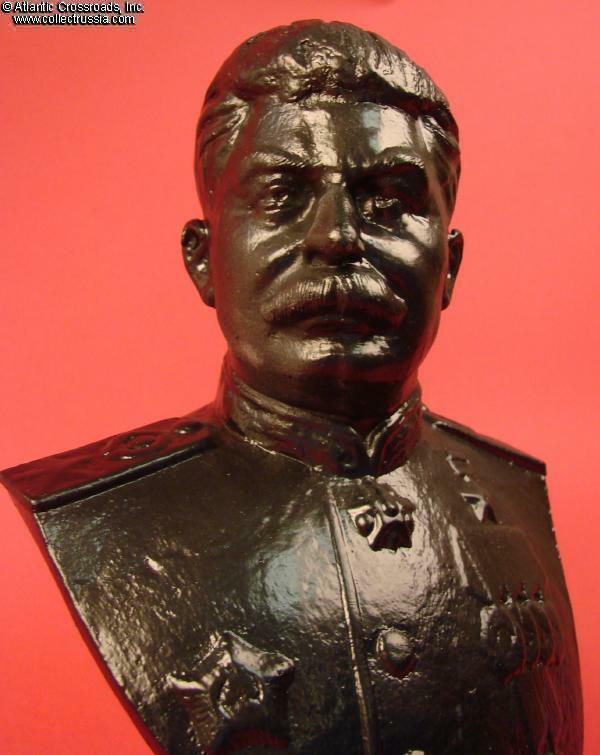 This late war image of Stalin is far less common than the far more familiar post-WW2 or pre-war depictions. 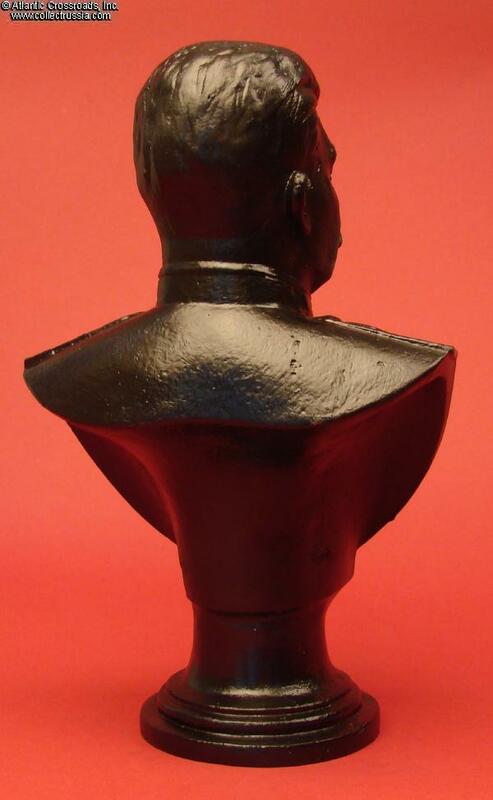 The bust has been repainted as is often the necessity with older Kasli and Kusa cast iron statues to protect them from rust. 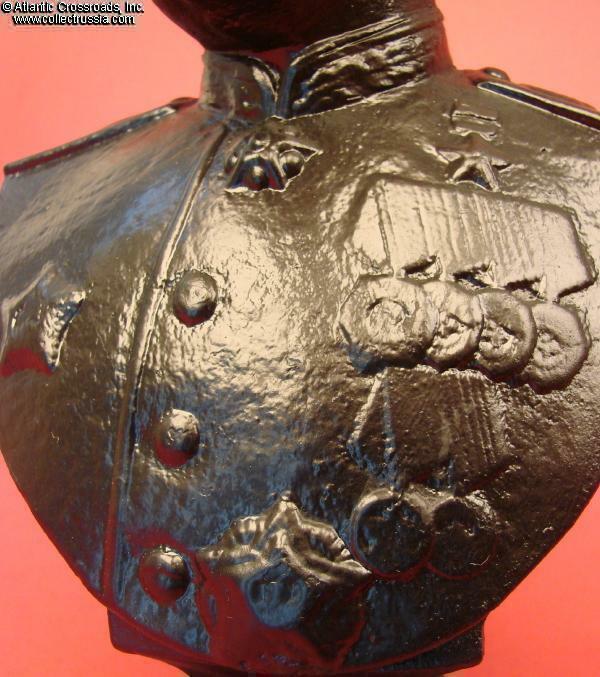 Its coat of black paint however is a good match to the original finish that the bust had when it left the factory. 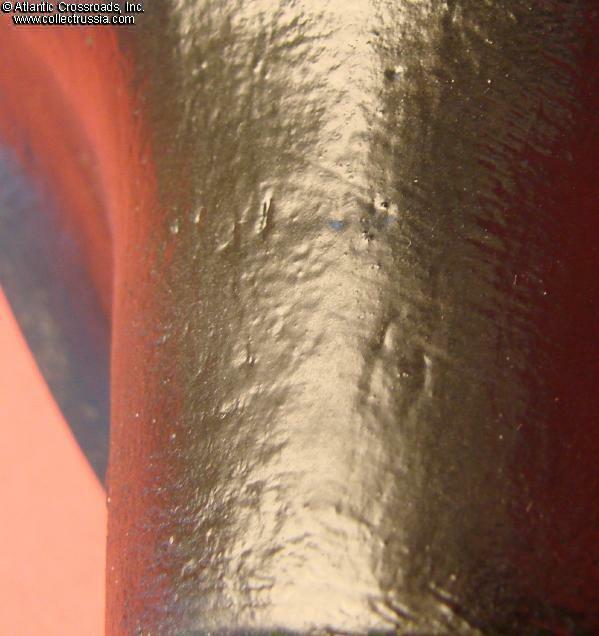 Otherwise, it's in excellent condition: there are no dents, noticeable dings or rust. 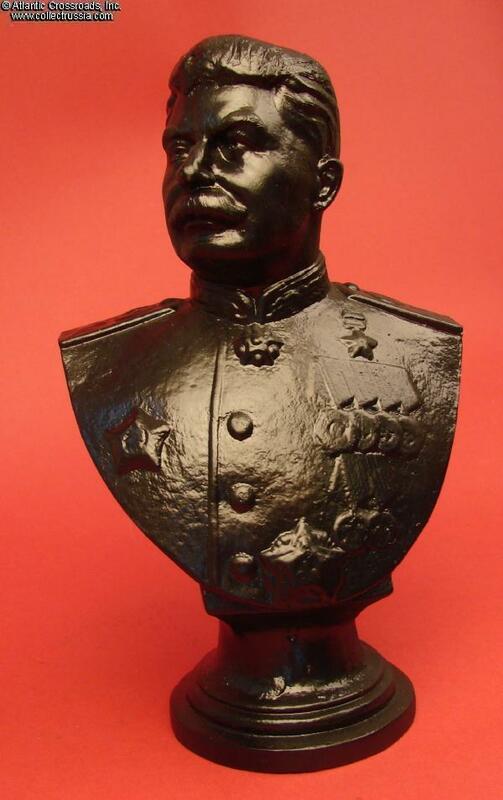 This bust is a rare survivor of the Khrushchev's "de- Stalinization" campaign of the late 50s. 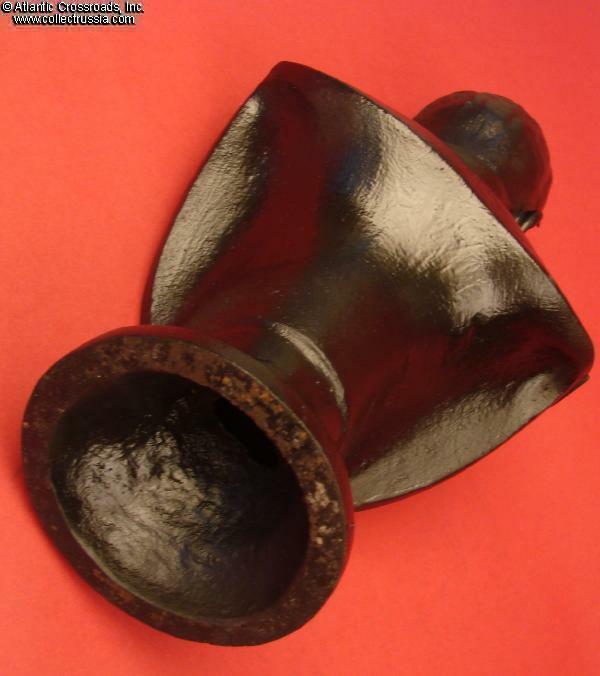 Its size is ideal for a display on a bookshelf or mantel; it can be an outstanding conversation piece and a superb focus point of a WW2 militaria collection. 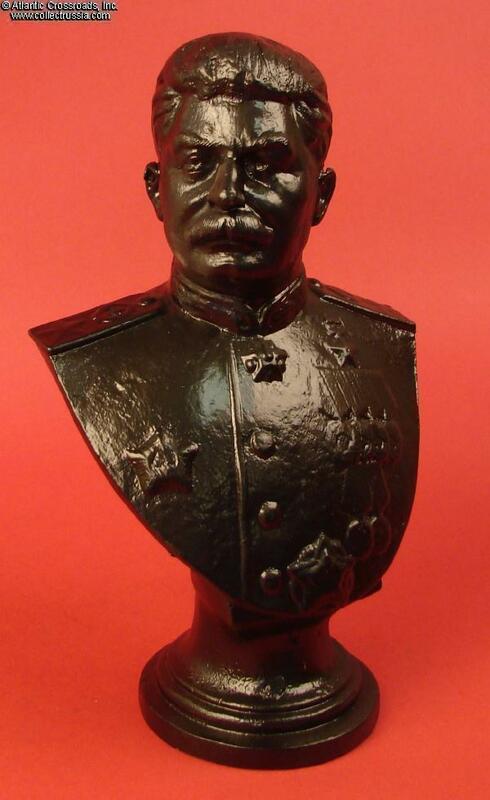 We have seen recent replicas of this bust that are currently manufactured in Russia. Those however lack the fine details and character of the originals.